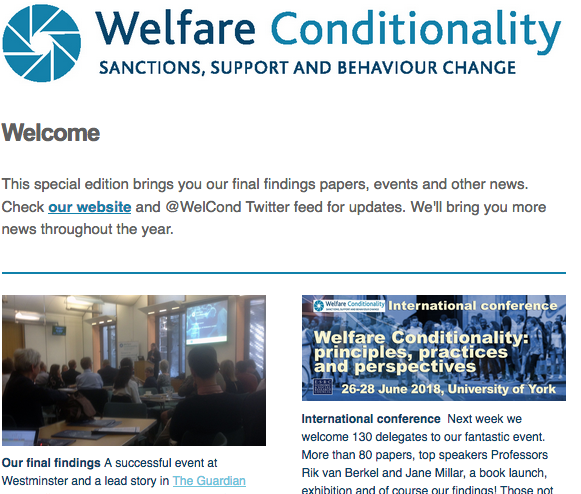 Welfare Conditionality » Blog: In-work conditionality is based on weak evidence – but will the policy sink or swim? Blog: In-work conditionality is based on weak evidence – but will the policy sink or swim? The public seem to be unaware of the poor evidence underpinning in-work conditionality, write Jo Abbas and this project’s Katy Jones in a new article for in LSE Politics and Policy blog. But research suggests that this policy is unfair and ineffective, and so once Universal Credit is rolled out, it could face resistance both from claimants and the wider public. See also our evidence to the Commons Work and Pensions Committee inquiry into in-work progression under Universal Credit, given in February 2016.